Gilbert and Sullivan formed the greatest theatrical team in history since Beaumont and Fletcher. Furthermore, unlike the Elizabethans, their works are still regularly performed and lovingly studied. Both men had achieved prominence prior to their meeting. William Schwenck Gilbert (November 18, 1836 - May 29, 1911) had come from the genteel middle class and had been educated privately, mainly in France. He had worked in the Civil Service and, hating it, then set up as an unsuccessful lawyer. In the meantime, he wrote articles and stories and even drew highly-regarded caricatures and illustrations for such eminent Victorian journals as Fun. He gained a reputation for light verse, parodies of current plays, pantomimes, and even serious plays. From 1865 to 1869, he produced the poems later collected in his masterpiece of Victorian nonsense verse, the Bab Ballads ("Bab" was Gilbert's childhood nickname), which elevated him to the rarified sphere of Edward Lear and Lewis Carroll and whose themes he would exploit in his later work with Sullivan. In 1869, He began supplying libretti for light operas to theater composers. His collaboration with Sullivan, however, brought him his greatest success and his lasting fame. Apart from his work with Sullivan and comic opera generally, Gilbert became one of the great innovators of the British theater. He staked out a disciplined, professional, and more realistic acting, producing, and directorial style. His serious plays, like his comic libretti, are elaborate clockwork mechanisms, which carried over to his direction. He drilled his actors and his stage technicians until the piece became nearly automatic. He tolerated no ad libs. His serious work leaned heavily to what we would consider "melodrammer," but less crude than the "I can't pay the rent" variety, and included a version of the first part of Goethe's Faust, called Gretchen. It flopped. Gilbert quipped, "I called it Gretchen. The public called it rot." Nevertheless, some evidence suggests that Gilbert thought this his literary masterpiece. At any rate, Gilbert's insistence on realistic stage demeanor and professional technical stagecraft paved the way for playwrights like George Bernard Shaw, who always acknowledged his debt to Gilbert. Gilbert was knighted in 1907, significantly after the death of Queen Victoria. His satires – including satires on the near-hysterical adulation of the queen and on the royals themselves – had put him slightly outside the circle of respectability, as did his theatrical career. It took a bit of time for the wounds to heal. 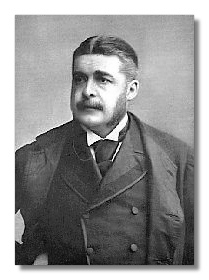 Arthur Seymour Sullivan (May 13, 1842 - November 22, 1900; embarrassed by his initials, he suppressed the "Seymour") came from Irish and Italian stock. His father was a sergeant bandmaster at the Royal Military College and later a professor of clarinet at the Royal Military School of Music. His son rose to become the most eminent English composer of his time. Sullivan studied at the Royal Academy of Music and at the Leipzig Conservatory, which Mendelssohn had founded. Sullivan's own style was built on Mendelssohn's. Returning to England in 1862, he scored great successes with his suite of incidental music to The Tempest, a choral cantata Kenilworth (1864), and his "Irish" Symphony in C (1867). Prestige, however, didn't pay the bills. He worked as a church organist, conductor, teacher, and leader of an amateur choral society, and wrote a good many parlor songs for the amateur market. He also wrote incidental music and comic operettas for the theater, and this activity proved the most lucrative. In 1871, he met Gilbert with whom he collaborated on an operetta called Thespis, or The Gods Grown Old. However, their fabled partnership did not commence until four years later, beginning with Trial by Jury (1875) and lasting – with one significant interruption – until The Grand Duke (1896). From these productions, Sullivan became rich and moved in the highest social circles. Sullivan felt torn by his theater work. On the one hand, his prestige-minded friends wanted him to chuck it for symphony, opera, and oratorio. On the other, his considerable theater income allowed him into the company of these friends in the first place. He also had become fond of gambling in Monte Carlo. As a kind of weird compromise, he and Gilbert collaborated on a "sacred music drama," The Martyr of Antioch, based on the poem by H. H. Milman. Yeoman of the Guard, also with Gilbert, and his opera Ivanhoe also come from these pressures. 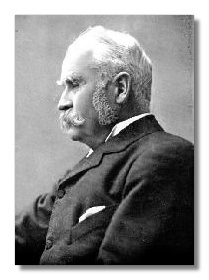 Knighted in 1883, Sullivan suffered increasingly from kidney disease, which finally claimed him in 1900, although he continued to compose practically to the end. He died before Victoria did. 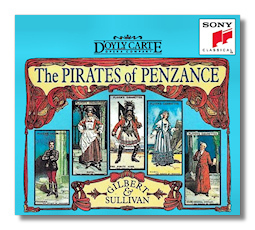 Together, Gilbert and Sullivan created a unique body of work, enormously influential, especially on American popular music between the two world wars. The Gershwins would not have written the Of Thee I Sing trilogy without their model, and the trick rhymes of lyricists like Ira Gershwin, Lorenz Hart, and E. Y. Harburg owed almost everything to Gilbert. In a sense, Gilbert and Sullivan took Offenbach's operettas (enormously popular in Victorian England, although in "Victorian" translations) and gave them a serious, very English twist. They replaced Offenbach's raciness with a kind of moral nonsense. Shaw ranked the Gilbert and Sullivan collaboration only slightly lower than Ibsen's plays as the great criticism of Victorian society. In 1875, they collaborated on the short Trial by Jury, a light entertainment on breach-of-promise suits, hastily gotten up to fill out a production of Offenbach's La Périchole. However, they followed this up with the full-length The Sorcerer, a satire on, among other things, Victorian repression, Utopianism, and the notion of Romantic love. Almost every one of their operettas deals with big topics: justice, duty, class structure, art and the social role of the artist, the rights of women, nature vs. nurture, and British parliamentary politics. Someone once said that satire is what closes on Saturday night. Nevertheless, Gilbert and Sullivan (and their producer Richard D'Oyly Carte) all became wealthy men through these entertainments. Their success did not preclude creative rifts. 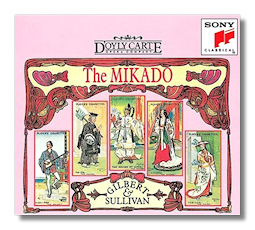 Gilbert disdained Sullivan as arty, and not really of the theater. Sullivan often thought of Gilbert as a hack and often dismissed Gilbert's initial proposals as unworthy of a composer's time. At one point, Sullivan found himself on the other side of a civil suit brought by Gilbert against D'Oyly Carte. They broke off their partnership and didn't work together again for three years. Still, the Savoy operas (after Carte's Savoy Theatre, where many of them appeared) represented a high point in Victorian theater. Shaw was not merely swept up in the flood of his own enthusiasm. Their frequent revival attests to their quality and their continued pertinence.